At Chabad our goal is simple: We want our students to view Judaism in an intelligent, relevant and upbeat light. By year's end, along with the Aleph-Bet, Holiday learning Jewish history and the Mitzvot, your child will have developed a deep love and appreciation for their precious heritage, imbuing their every day with a sense of pride and purpose. Our curriculum includes Jewish History, Culture, Hebrew Language, land of Israel and Prayer. The Aleph Art Room prides itself in our staff. Our staff is made up of teachers who live Judaism on a daily basis. Staff members are imbued with a desire to impart their love and knowledge of Judaism to their students. Our teachers endeavor to create an engaging program that keeps the interest of the child. Leah Horowitz from Orange County, California has years worth of experience working with children and teens world-wide. We are privileged to have Leah join our community for the 2018/19 school year. WHEN: Chabad of Las Cruces Aleph Art Room is held on Sundays throughout the school year between 10:30am and 12:00pm. The complete schedule including vacation days and special trips will be published shortly. 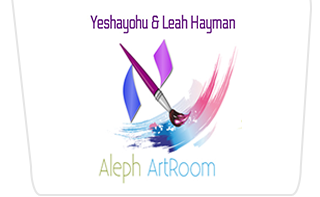 WHO: Boys and Girls ages 3-11 are welcome at Aleph Art Room. WHERE: Aleph Art Room is held at Chabad of Las Cruces, 2907 E. Idaho Ave, Las Cruces, NM 88011. HOW MUCH: The annual tuition for Aleph Art Room is $225 per child per year. Early Bird Special: $200 per child before Aug 6th. Scholarships available on a first come first serve basis. No one will be turned away due to lack of funds. There is a 5% discount for additional children per family. NEW: Bring a new family to Art Room and split tuition 50/50. Call or email for more info. No previous knowledge of the Hebrew language or Judaism required.